Not even sure that much more happened from day 4 to today, just living, breathing and eating. I was a little bummed at the prospect of just hanging by “our dish” and not traveling for spring break, I really love an adventure, I even considered packing up the kids and the tent and driving south until it was warm enough to set up camp for the week. However, we all had a great week, there was loads of down time, games, puzzles, a few playdates, and today even warmed up to the middle 4o’s. 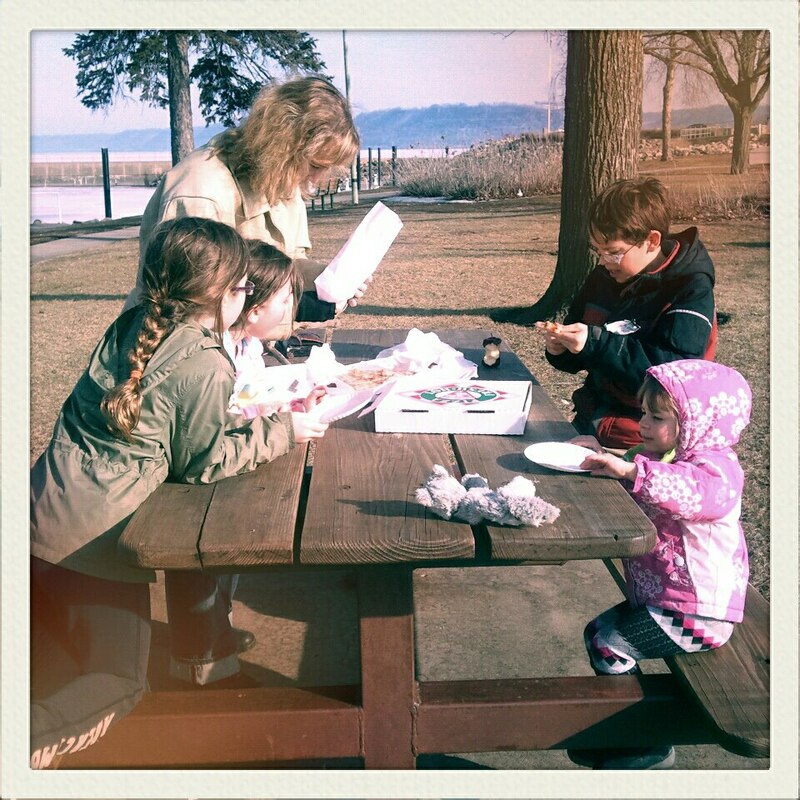 I went to pick up 2 kids from my mom’s house in Lake City and we went for a walk and got pizza to eat in the park…yes if you live in MN a pizza picnic in the park is totally acceptable once the thermometer passes 40. 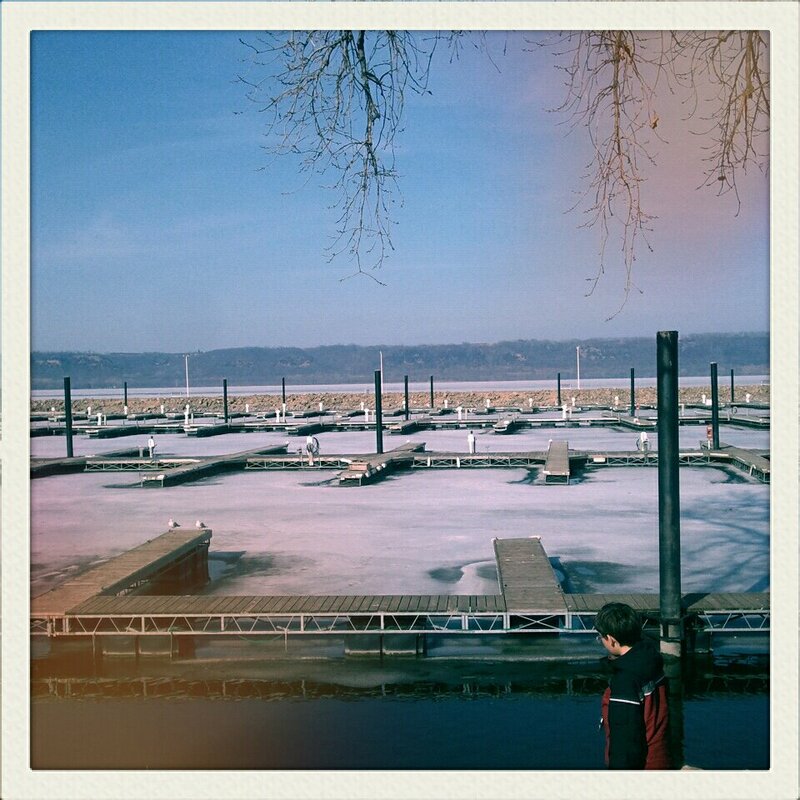 Lake City boat docks, not sure when they will get the boats in, but I bet it won’t be long! Papa Tronnios pizza, if you ever venture to this side of Lake Pepin, get you some of this pizza!! It is awesome! We also noticed that Rabbits Bakery does a wood fire pizza night the first Sunday of every month, which we will be enjoying in May, I will post details then. 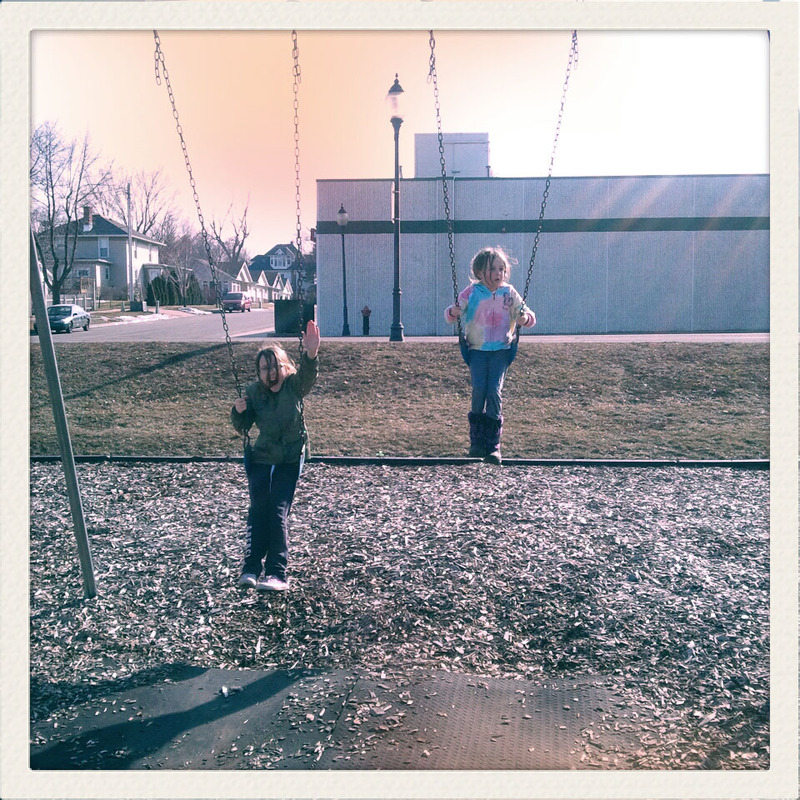 Swinging after devouring some za!. I just love all of our time together, it can be a lot to organize and the house gets messy, not everyone’s hair is always smooth and pretty, but man we have fun together, and that is what is important! Hope everyone had a great 2013 spring break. Now that the weather is nice I am going to be posting more home and wood projects, it is just to hard to get to them in the winter without proper ventilation. Can’t waist for you all to see them!